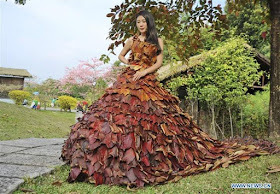 Home / Fashion / See this dress made of leaves by a Chinese designer. 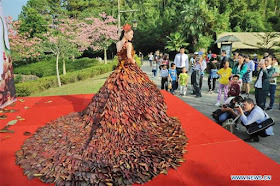 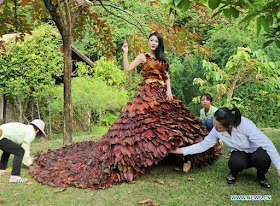 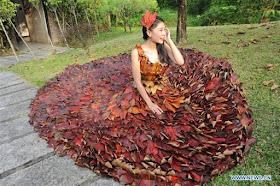 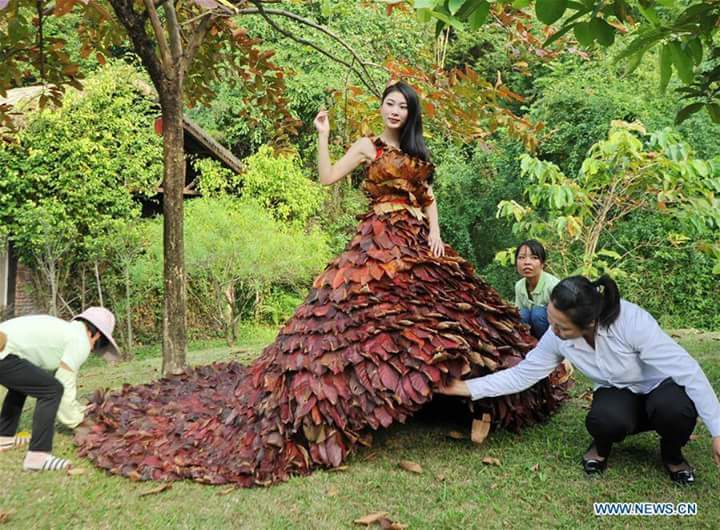 See this dress made of leaves by a Chinese designer. 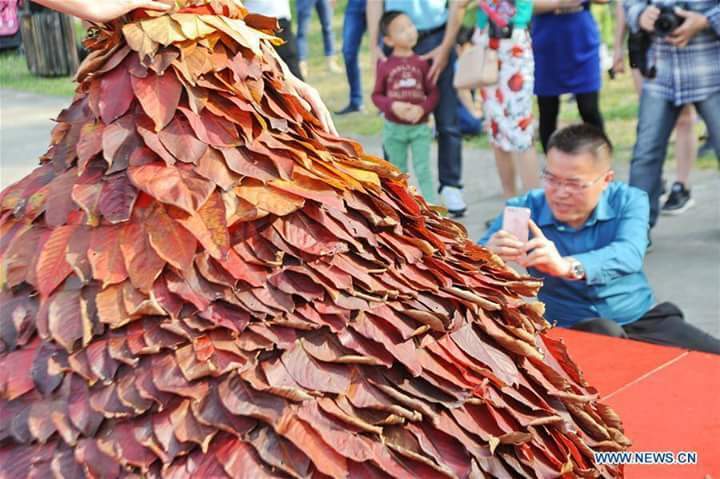 According to CGTN, a fashion designer has came up a novel idea to promote environmental awareness and protection and it took the shape of a "dress" made with leaves and 5,888 of it. 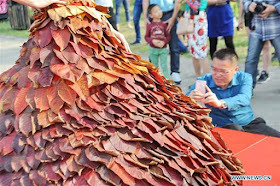 It happened in China. 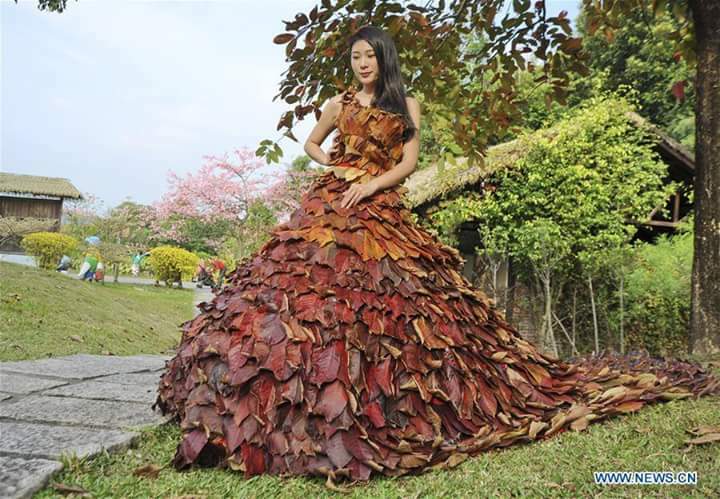 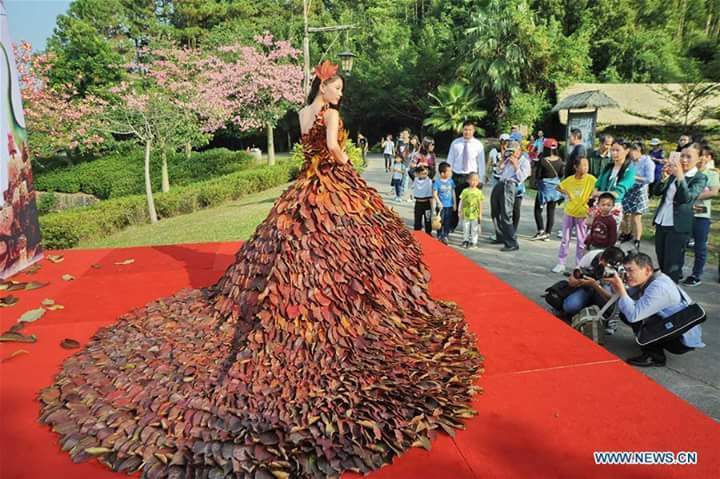 Read their report, to promote environmental protection, a model was presented in a uniquely designed dress made from 5,888 red leaves, at the Shampoola scenic area, in Fogang County of Qingyuan City, south China's Guangdong Province on Sunday. As one of the most symbolic styled autumn pieces, the creative design attracted an overwhelming amount of visitors.